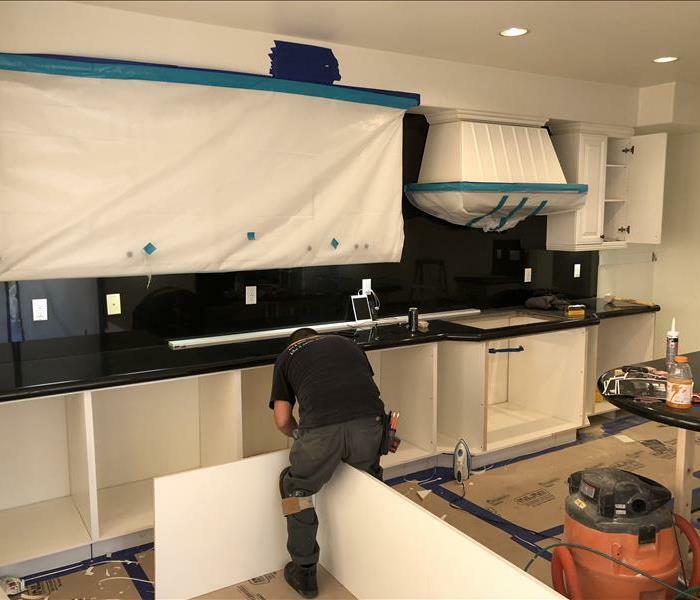 SERVPRO of Laguna Beach is working hard to get this kitchen back in order after it flooded. This homeowner called for help and we responded quickly. We removed the damaged materials including, floors, cabinets and sheetrock. We then set our drying equipment to get the area dried properly and to prevent mold growth. 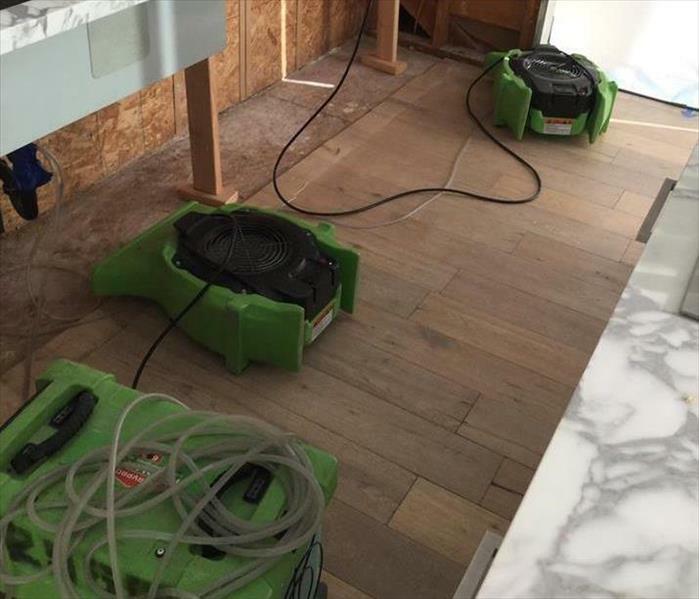 SERVPRO of Laguna Beach has high tech equipment that aids them in getting the job done right. This photos shows hour thermal moisture meter in action. This tool helps us find the moisture hiding inside your floors and walls. When cleaning up after demolition in your home, it is important to wear the proper protective gear. The white suite protects your skin from exposure to harmful particles. Goggles, breathing masks and gloves protect other vital areas from exposure as well. 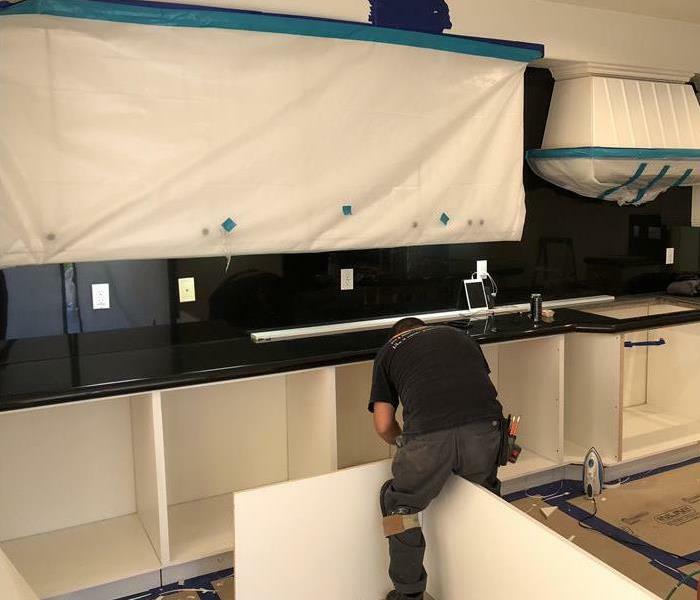 Working hard to make it "Like it never even happened"
When this Laguna Beach home owner arrived home to a flooded kitchen they called us for help. We arrived quickly and began water mitigation services. We were also able to complete the rebuild of their kitchen as well. 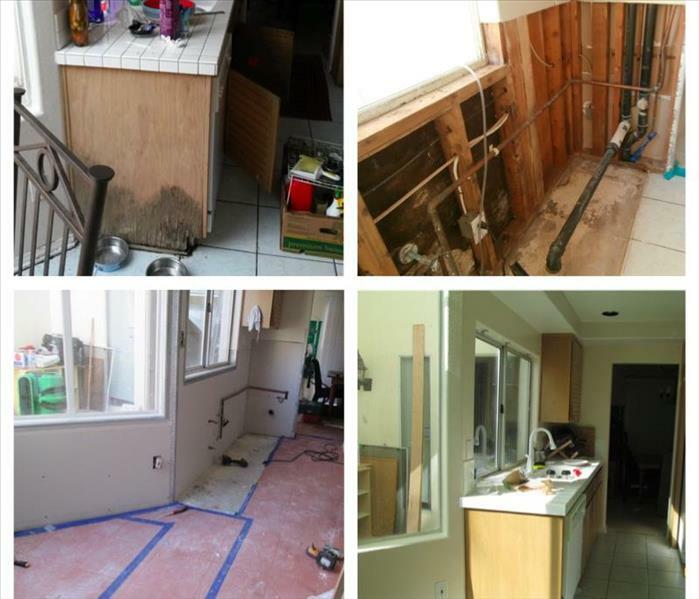 Arriving to this Laguna Beach home we immediately began to remove the wet and damage materials from the home. We then set up our drying equipment to get the structure dried properly, avoiding secondary damage. In Dana Point this homeowner experienced water damage due to a dishwasher leak. Most of the wet materials were behind the sheet rock. 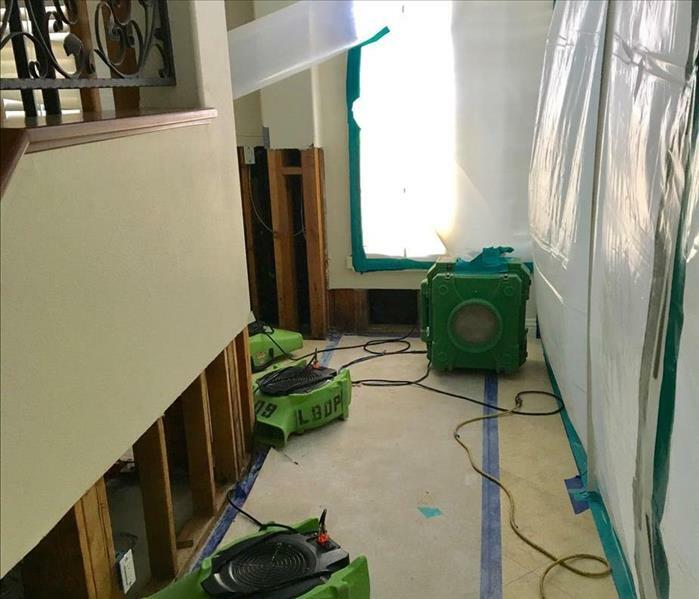 SERVPRO of Laguna Beach / Dana Point drilled the proper holes in the materials to allow air flow to dry properly. In Laguna Beach we responded to a basic water loss. When we arrived it was extremely evident that the water had been causing mold for quite some time! We immediately set up containment and began the mold removal. Mold Remediation requires an expert! Have you discovered Mold lurking in your home? 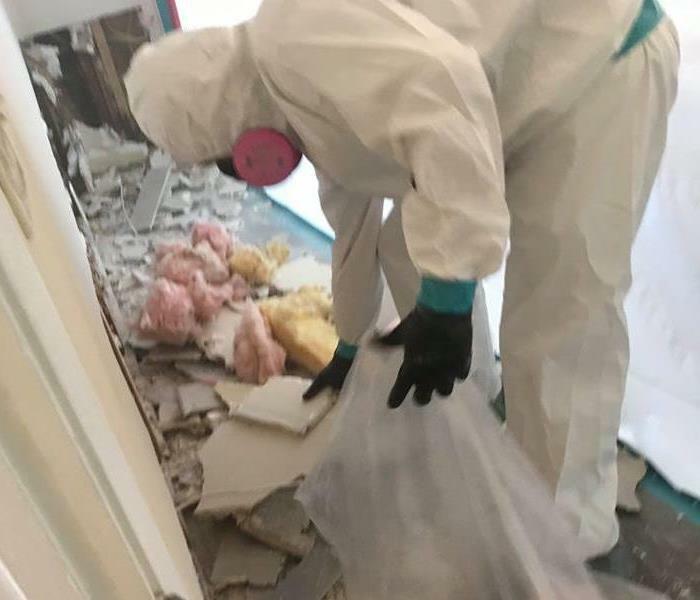 Here at SERVPRO of Laguna Beach/Dana Point we have trained experts who can find and remove any and all mold in your home or place of business! Let us be the expert you call first! Do you know what is behind your dishwasher? After this South Laguna homeowner came home to water in all in their kitchen floor we were forced to move their dishwasher to do the proper clean up. Much to our dismay, we found all of this mold growth living behind it. Sometimes we don't know we have ongoing moisture issues. Fortunately they called the right people and we were able to put it back, "Like it never even happened." This kitchen was heavily damaged when this home experienced a water loss from a broken pipe. We had to remove most of the cabinets to restore the kitchen. If you have a water loss like this, call SERVPRO. This kitchen needed a full restoration after a large water loss caused a lot of damage. Our team was able to complete the restoration quickly and left the home looking "Like it never even happened." 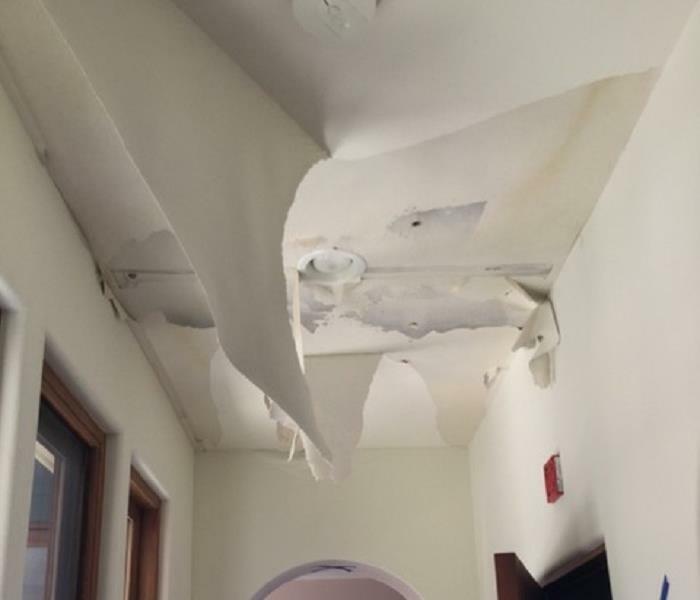 The ceiling in this image was damaged by a water loss from an upstairs pipe that broke. 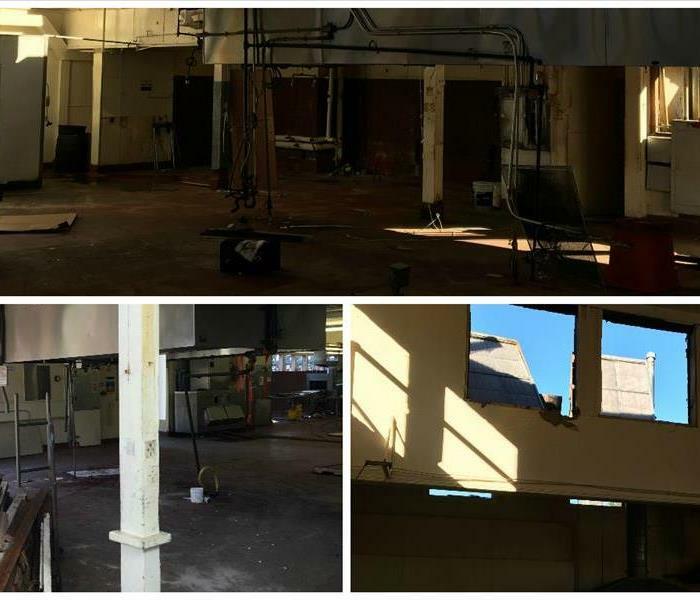 We were on site quickly and immediately started working to remove wet, damaged material and set up drying equipment. When you have a water or mold loss, we want to make sure that contaminants don't migrate to uncontaminated portions of your home. That is why we use containment barriers like the one pictured here. Because mold spores are everywhere, it is important to quickly get rid of the moisture that helps them grow after your home or business has been affected by a water loss. If you have a water loss, give us a call! 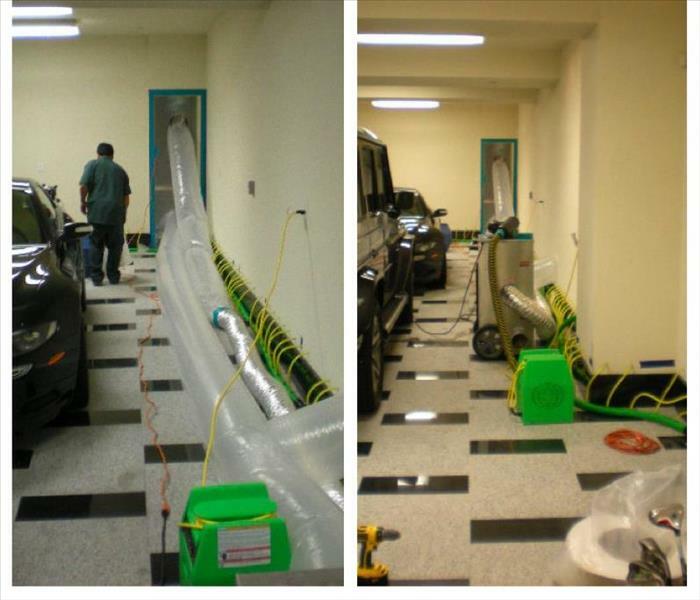 You will often see us using containment barriers on jobs involving water or mold cleanup. These containment barriers are put in place to prevent contaminants from migrating to uncontaminated portions of your home or business. 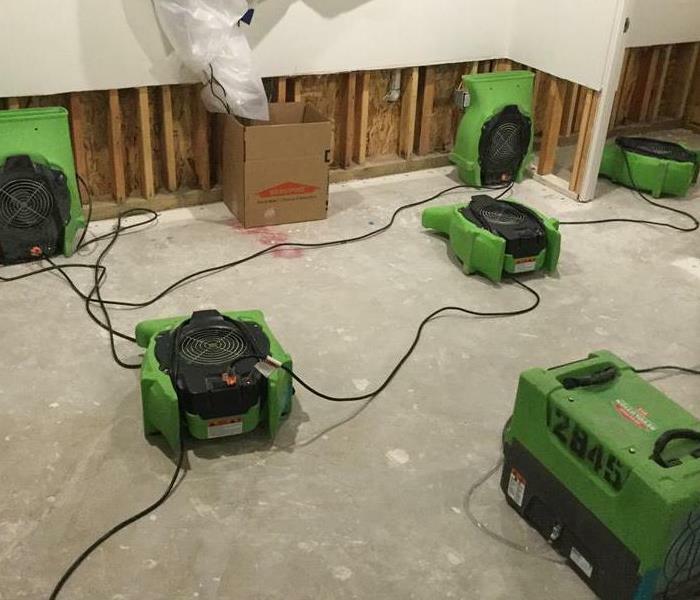 After performing the flood cuts on this wall to remove the damaged material after a water loss, we placed the drying equipment you see here to help dry it out. If your home experiences a water loss, call SERVPRO! When a disaster strikes leaving your home open, it also leaves it vulnerable to wildlife, the elements, and unfortunately, looters. SERVPRO can help secure your home through our board up services. Just give us a call! 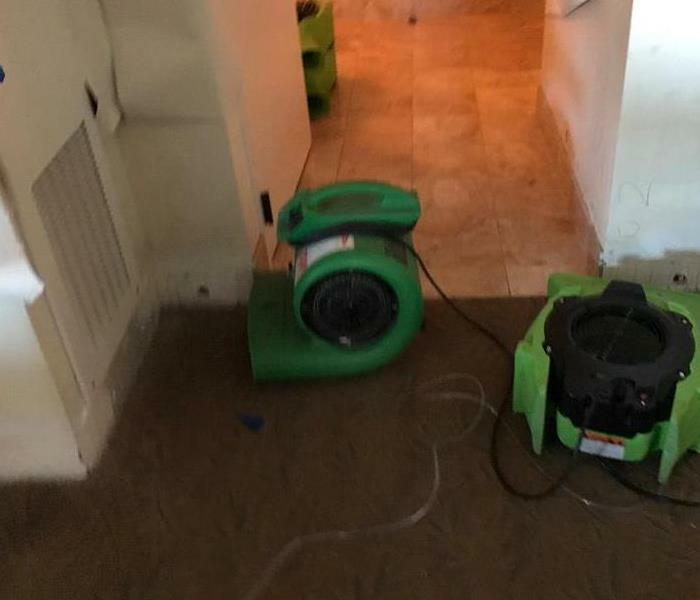 Often, you will see us using drying equipment such as what you see pictured here to help speed up the drying process after a home or business has suffered a water loss in order to mitigate further damage. When the kitchen in this image suffered heavy water damage, our team was brought in to repair the damage. It resulted in a total remodel of the kitchen. When we were finished, it looked "Like it never even happened." 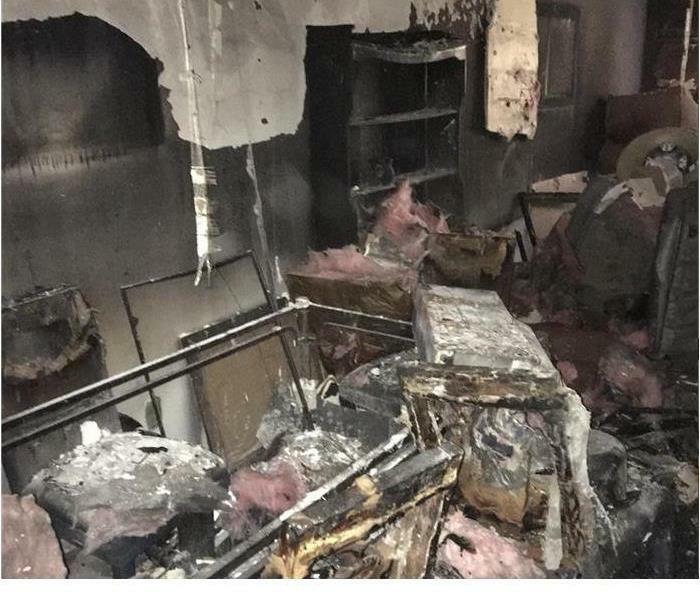 This kitchen suffered from fire damage after a grease fire. The team responded and immediately began cleaning smoke and soot stains. The kitchen had a total kitchen remodel. Contact us for your fire restoration emergency. SERVPRO has professional technicians who can respond to your water loss. They have professional equipment they are trained to use to dry water and extract water. Contact us for your restoration emergency 24/7. SERVPRO responded to this home after a storm. The garage suffered from a flood after the waters came in under the garage door. They brought in air movers to dry the floors. This bathroom suffered from mold during a bathroom remodel. SERVPRO came in and prepped the area for remediation. The drywall was cut to dry the area and restore back to normal conditions. This home suffered from large amounts of water in the floor throughout the house after a storm. 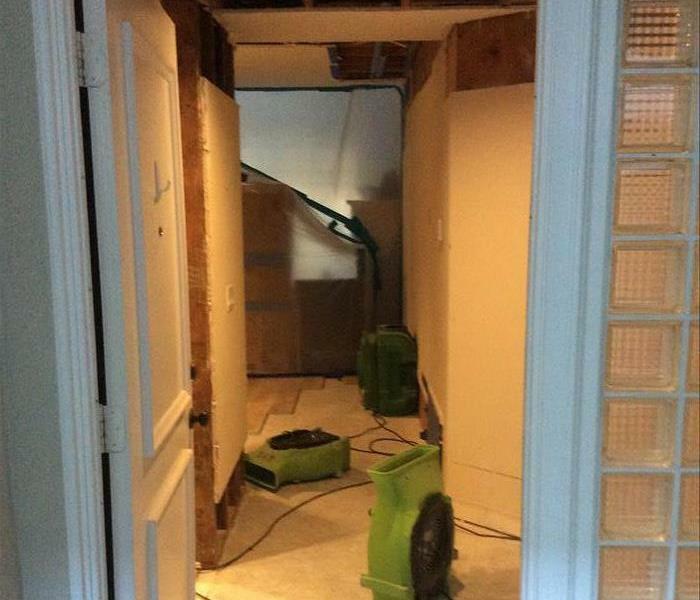 SERVPRO responded immediately and began to extract the water from the floor and removed drywall for drying. 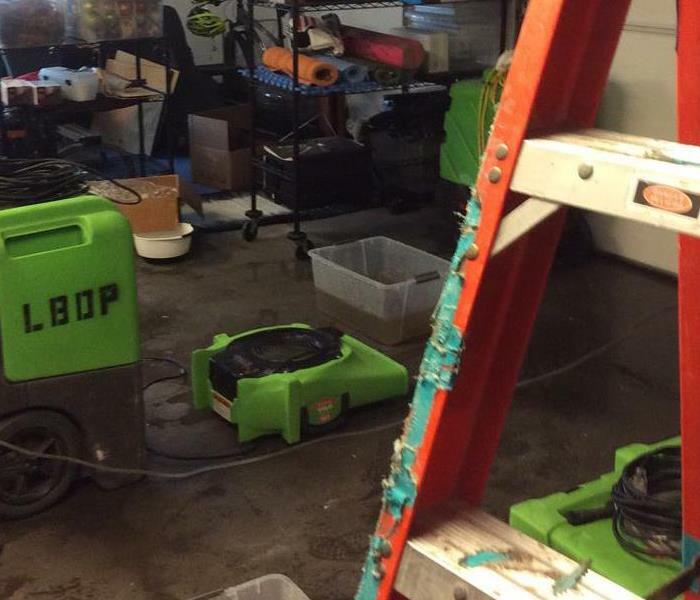 Extracting water is one of the processes SERVPRO uses to get the water off the floor after a water loss. They use equipment to remove the water and dry properly to ensure no moisture is left for future damages. It is very important that mold is treated when discovered in your home. 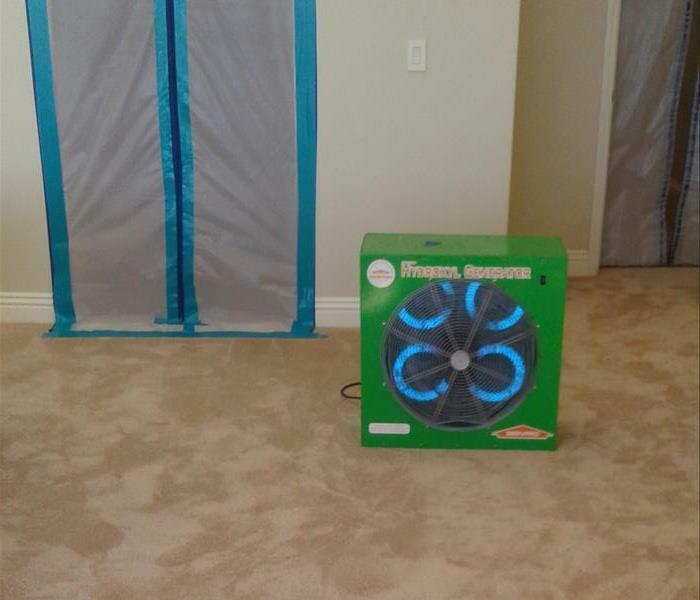 SERVPRO has special techniques they use to keep the mold from spreading called containment. They put up plastic to keep from spreading and treat properly. SERVPRO has the expertise to treat any type of mold found in your home or business. The team came in and cleaned and treated this area professionally to ensure mold would not spread throughout the rest of the home. SERVPRO has professionals who are certified in Mold Remediation. They have the expertise to access and remediate your home if mold is found. Mold can grow rapidly so contact us 24/7 if found in your home. 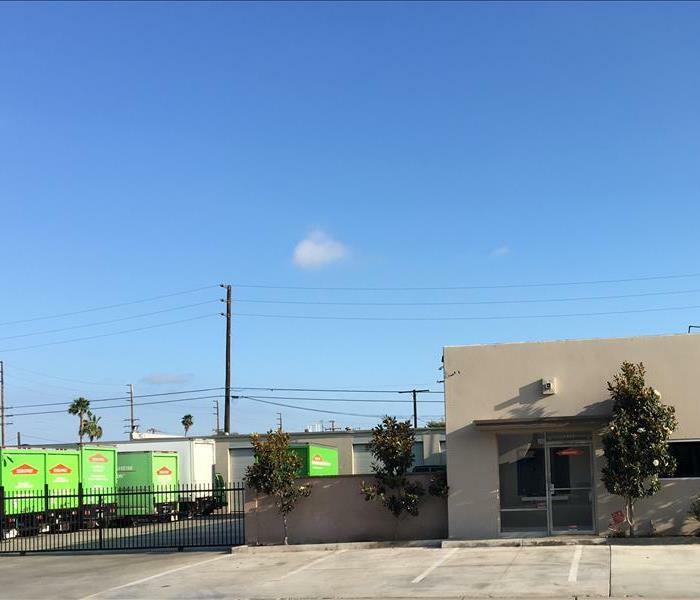 The team at SERVPRO responded and boarded up the roof after a storm in California. 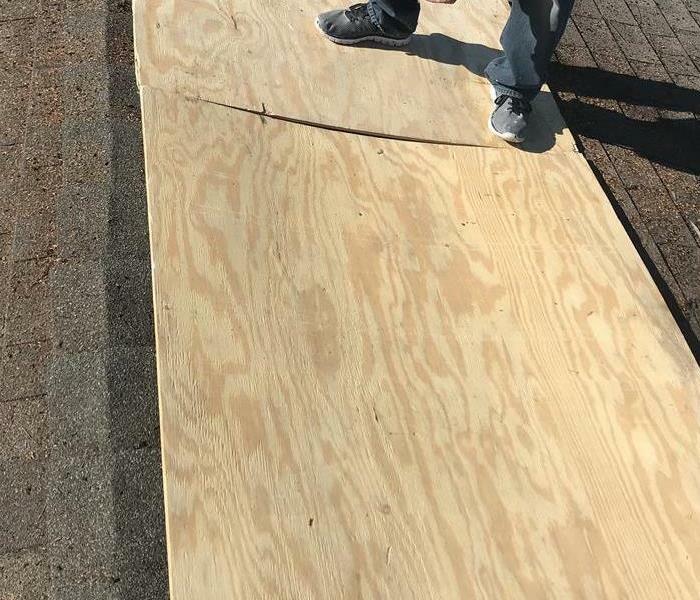 The water was leaking through the roof so they put a board over the damage to keep any future weather from leaking in the home. Mold can spread quickly in your home or business. It is important to respond immediately to access the situation and remediate quickly. 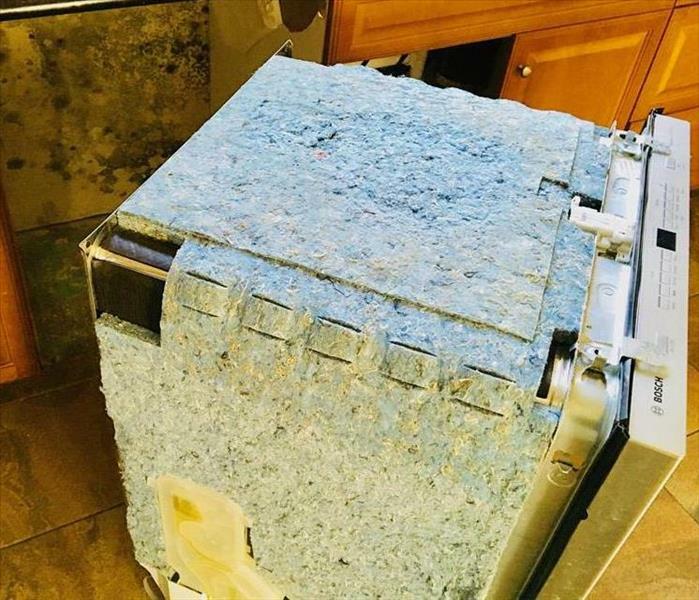 The team at SERVPRO contained the mold in this home to keep from spreading. This home suffered from smoke and soot damage. 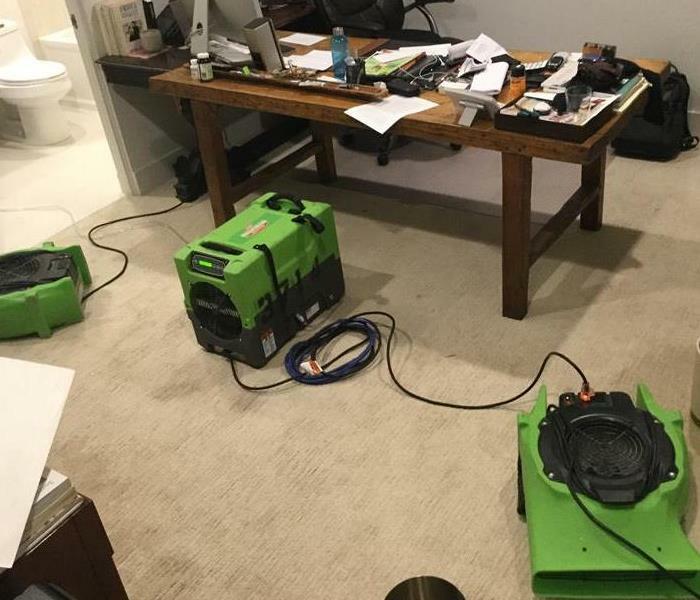 The team at SERVPRO has special cleaning techniques to remove the smoke and soot stains. The team responded and restored this home back to pre fire conditions. This home suffered from significant amounts of fire damage. The fire destroyed the home down to the studs. 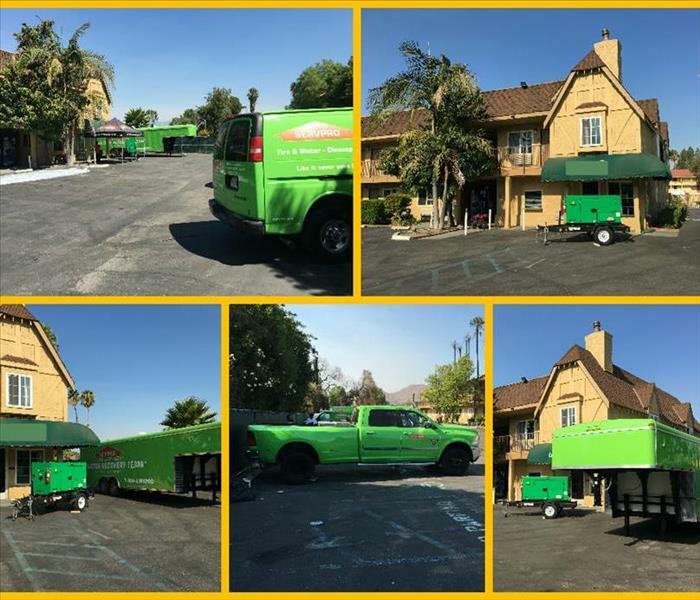 SERVPRO arrived immediately to access the fire damage and start the process. 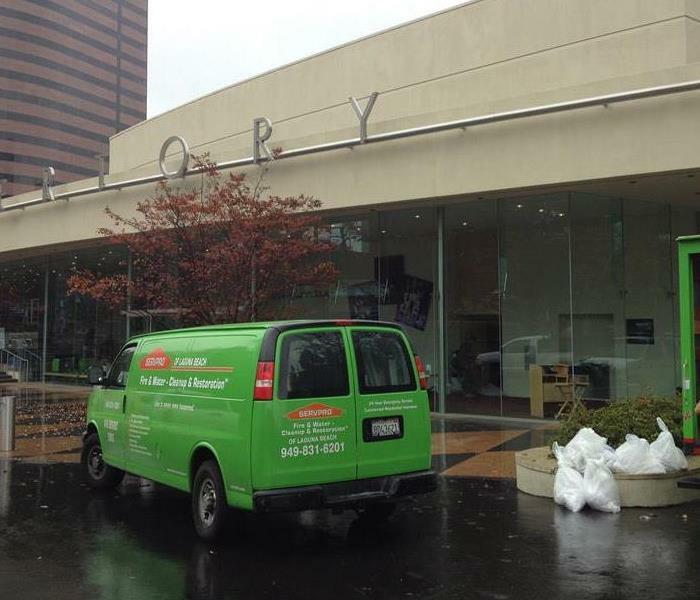 SERVPRO of Laguna Beach / Dana Point can respond immediately to your home or business after a sever storm. This room suffered from water damage. 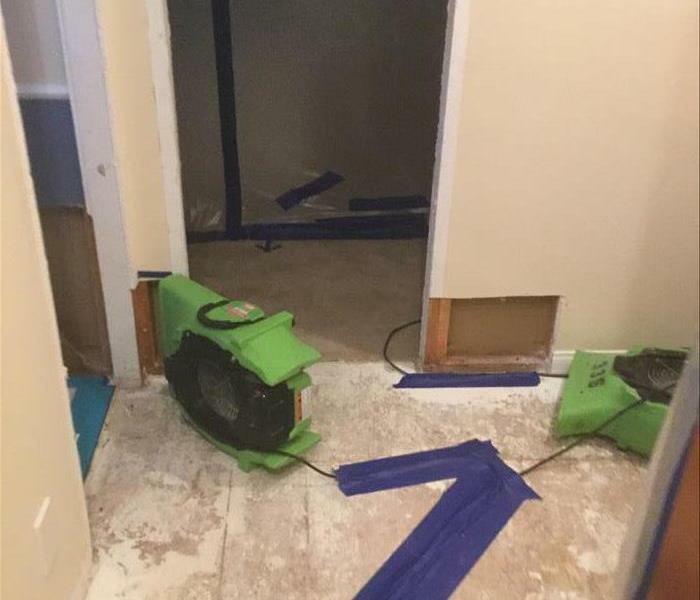 Flood cuts were performed to dry behind the drywall. Severe storms can happen when you least expect it. The team at SERVPRO is ready to respond to any size storm. 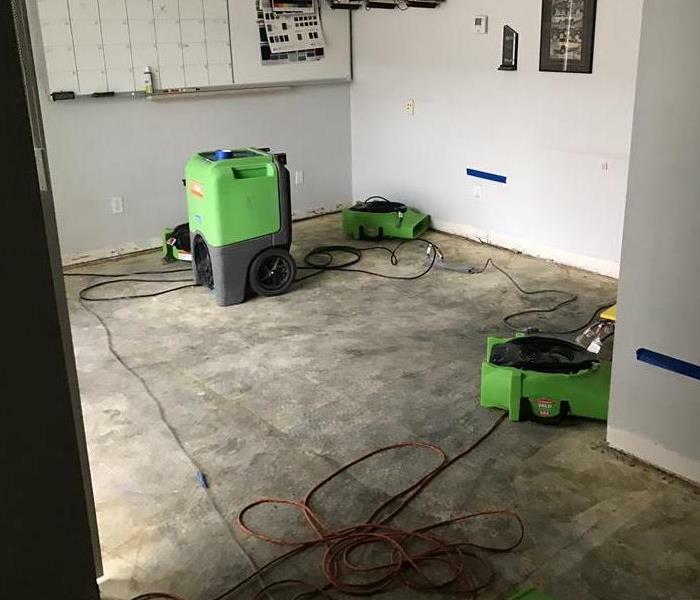 This office had significant water loss and the team responded immediately to restore office back to normal conditions. This home suffered from significant water damage after a severe storm in CA. 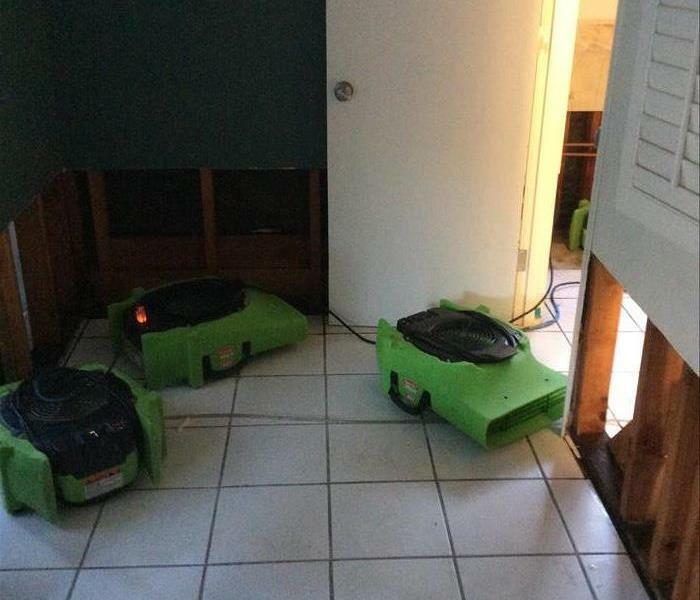 The team at SERVPRO has professional air movers and equipment to dry the home quickly. The area was dried quickly and restored to pre storm conditions. Our drying equipment is properly placed on this water loss. We responded after a call came in for significant water damage in this commercial facility. We extracted and placed equipment immediately. This is a church our team was called to help clean the duct works. 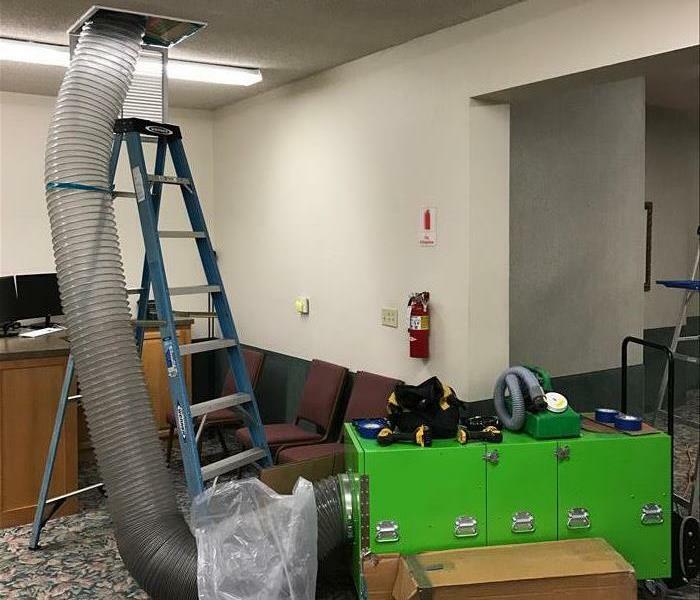 We have the equipment and training to make sure the air quality is at the best level for commercial facilities. 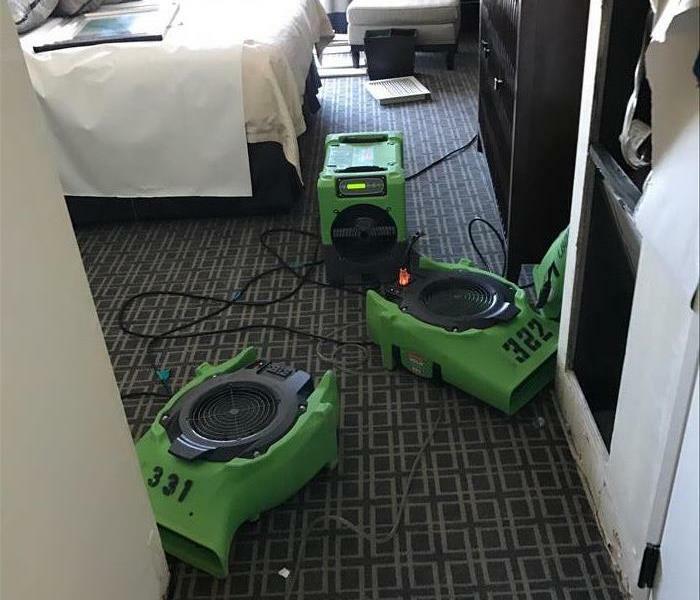 This hotel room had a water loss, and we were called to help mitigate the damages immediately. Once all of the water was extracted we placed drying equipment to get this room ready to be rented. Our team quickly responding to a water loss in Laguna Beach. We were quick to respond and extract water to get this facility dry and back open. 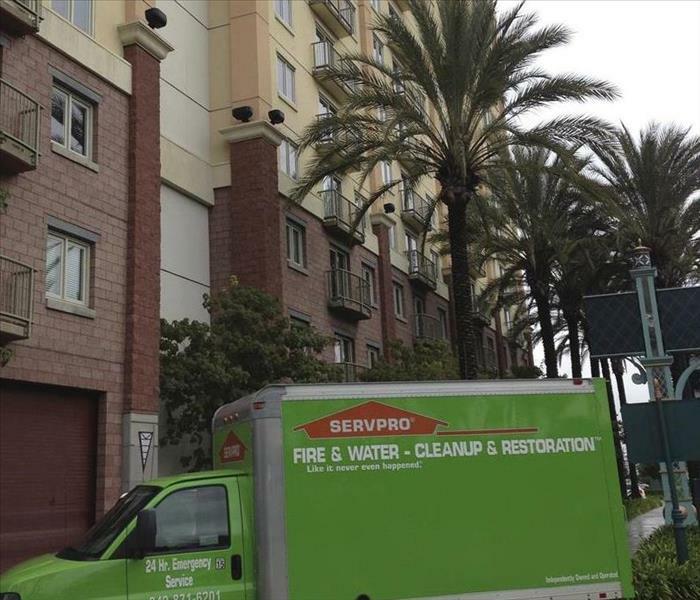 Responding to a fire and flood at a Hotel in Anaheim, CA. 45 rooms and 10 Floors affected, but we were able to get this Hotel back up and running within the week, making it Like it never even happened. 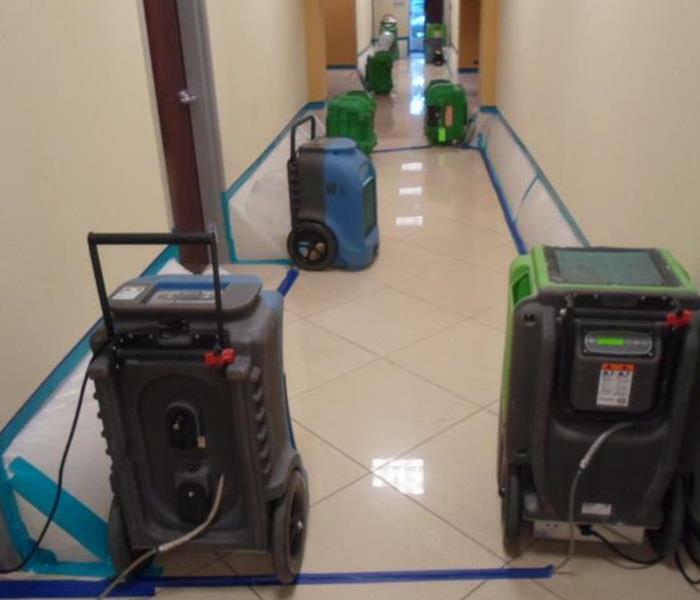 Commercial desiccant dehumidifiers for rapid drying of large buildings. When we are on a commercial large water loss, we make sure to bring only the best to dry up the disaster. Long term water leaks can cause damage and mold growth on drywall and cabinetry in a kitchen. 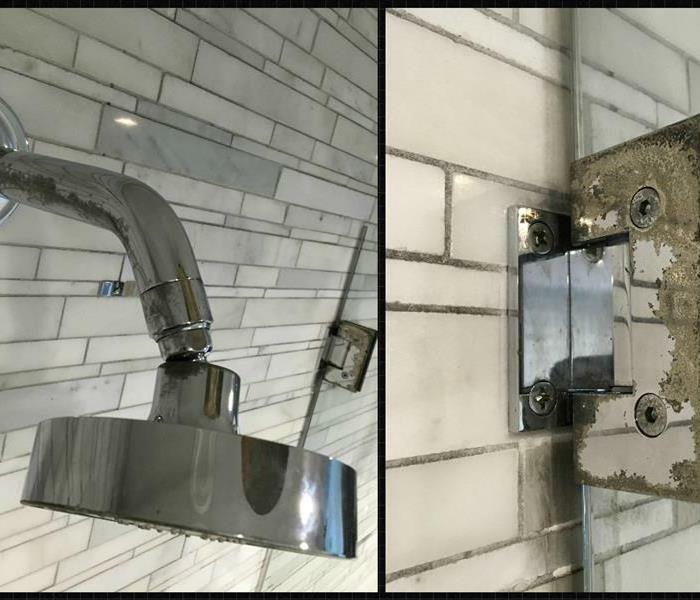 This photo shows the stages of repair from start to finish. The home owner wasn't just happy, they were thrilled and over joyed with the work. This is water damage in a 4,000 square foot subterranean garage, which houses collectible cars. This technique allows the building owner to not have to worry about finding a location for his vehicles. 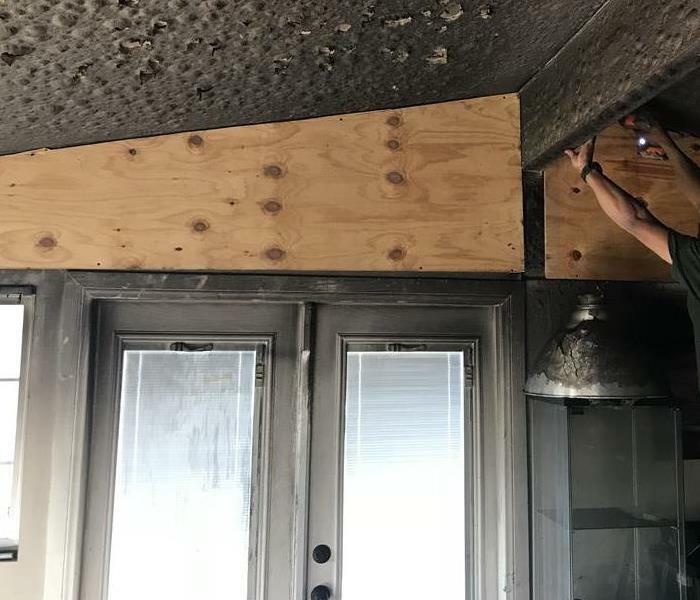 A kitchen grease fire spread into the seating area of this restaurant. We are in the process of cleaning out and planning out repairs with the company to ensure that we get them back in business as soon as possible. This kitchen in Laguna Hills had a slab leak from above and growth of mold throughout the walls. The entire kitchen had to be packed out so we could clean and clear the way for future meals to be cooked. 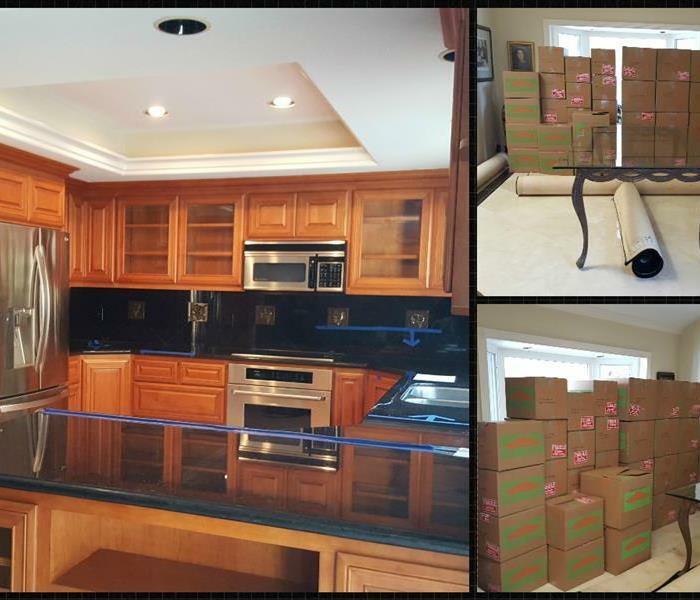 Our services for packing our this kitchen took only a few hours. These pictures show the damage the smoke does to metal surfaces. The acid in the smoke etches metal. Had these items been cleaned immediately and a metal protecting agent applied this would not have occurred. Because the customer decided to wait they now need to be replaced. Insurance may or may not cover pay for this damage. It is always important to respond as quickly as possible to avoid further damage. Regular equipment maintenance is an integral part of a water damage restoration technicians day. We clean our equipment after each use to make remove any possible contaminates that could have snuck into our drying equipment. 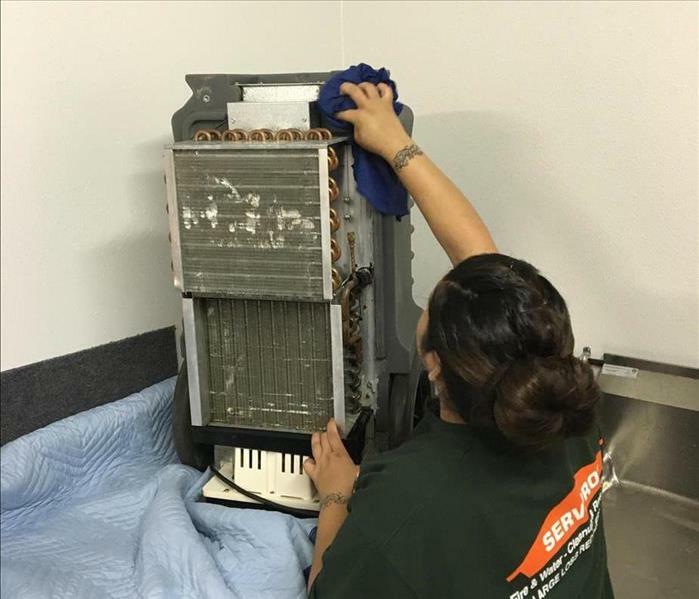 Here you see a Drieaz evolution dehimidifier being thoroughly cleaned and serviced, after being on a commercial large loss. Does your drying company maintain a strict maintenance schedule of all equipment? If they do not you could be exposing others to contaminates from other job sites. 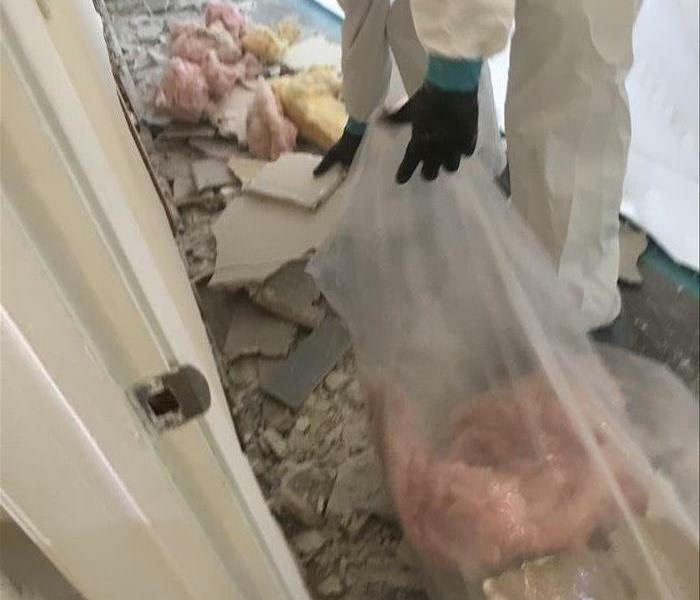 This could lead to possible mold, asbestos or bacteria being brought into your home by a company that should be keeping you safe from these things. Next time you are in need of drying ask your professional to tell you when the equipment was last cleaned and serviced. Then inspect it for your self. To make sure it looks, smells and feels clean. The newest baby of the family. This trailer will be stocked and ready to go at a moments notice for any large disaster in an office or home community. SERVPRO of Laguna Beach/Dana Point is always #SERVPROReady! A nice early morning picture of one of the few times our main office is quiet. Usually we have our employees working as busy as bees to ensure we provide the best quality work for our customers. 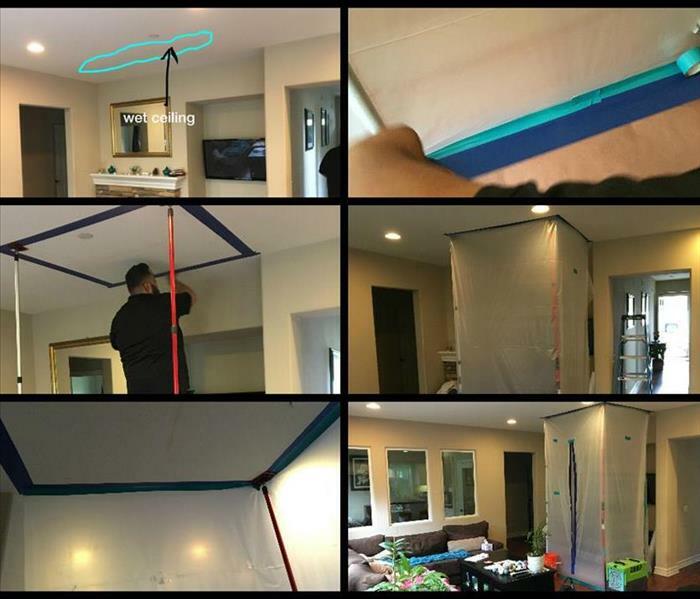 Here we can show you a step by step process of how we are able to contain damage from a ceiling leak into a living room. Minimal damage and a sealed tight drying area. SERVPRO of Laguna Beach/Dana Point takes every step we can to making any emergency less stressful for the customer. 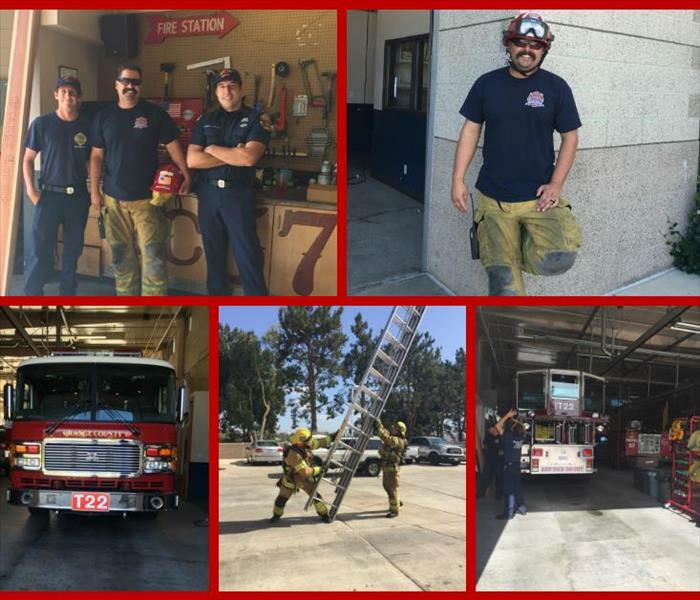 Our Account Manager Sara had the privilege of being able to visit on of the Aliso Viejo Fire Stations. They were polite and allowed her to take a few pictures of them as they trained. These men work hard even on their off days. Thank you to the crews of the Aliso Viejo Fire Stations. SERVPRO of Laguna Beach/Dana Point is happy to be part of the emergency response team that follows this team into any fire disaster. When a fire took lpace at this hotel over the weekend, it was disaster meets disaster. The quickest way to put out a fire is with water, so the fire damages soon met water damages. SERVPRO of Laguna Beach/Dana Point was able to assist in the water drying, the fire damages, contents pack out and pack back. We were able to assist to making it look "Like it never even happened".